In Fall 2018, we reached out to the community of Bedford to talk about all things libraries. We are working on creating a foundation for improving Library access and services in Bedford. 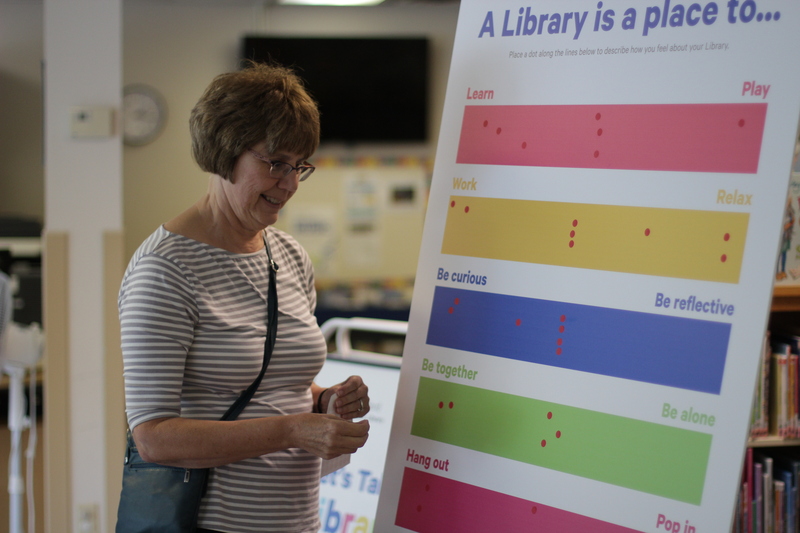 We want to know about the many different ways our Bedford community uses its Library. 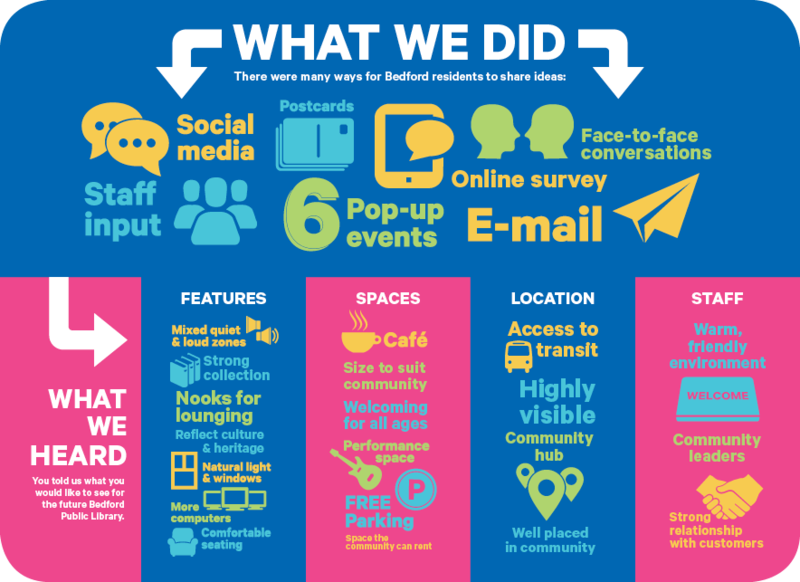 Through conversations, an online survey, and pop-ups at community events and special locations, we talked with you about the future of your Bedford Library. We asked: "What does the best possible Library service look like to you?" Take a look at the infographic below to see your feedback on features, spaces, location, and staff. As we continue to gather info for this project, we want to know your thoughts, ideas, and dreams for the future Bedford Public Library. Visit our Let's Talk Libraries page to stay up-to-date with news and share your thoughts.